A place of natural and spiritual beauty. Meander through lush, exquisite gardens or sit for a moment in the cool, silence of the restored chapel for some thoughtful meditation. 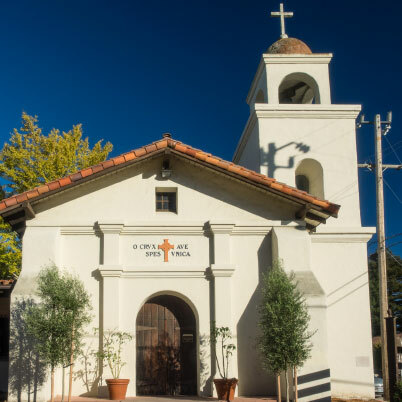 Surrounded by flourishing vineyards and abundant fields, this mission captures the essence of its name … solitude. A serene, out-of-the-way setting that lends itself to quiet, peaceful reflection. Spend some time walking in the past. 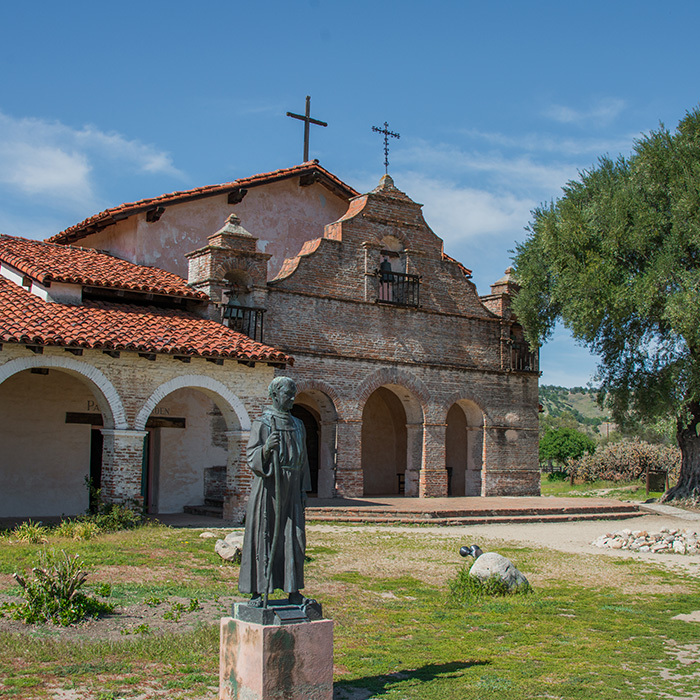 A peaceful retreat untouched by development in southern Monterey County, located on 80 acres in the remote San Antonio Valley. A pastoral setting soothing to the spirit. Located at 93928 End of Jolon Rd; Ft. Hunter Liggett Army Garrison. 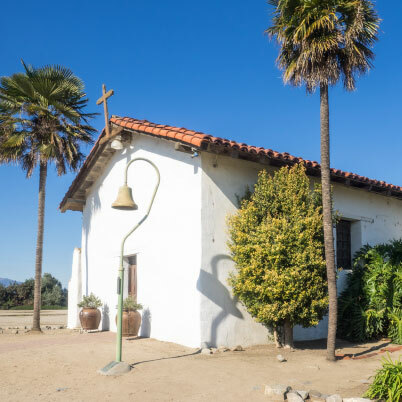 Rich in history, these mission grounds are a convergence of present and past, of cultural influences embedded in California’s fiber. Pause for a moment in the Plaza and listen for the voices of the past. Perched on a hilltop overlooking the Monterey Bay Sanctuary, here is a place of contemplative tranquility. 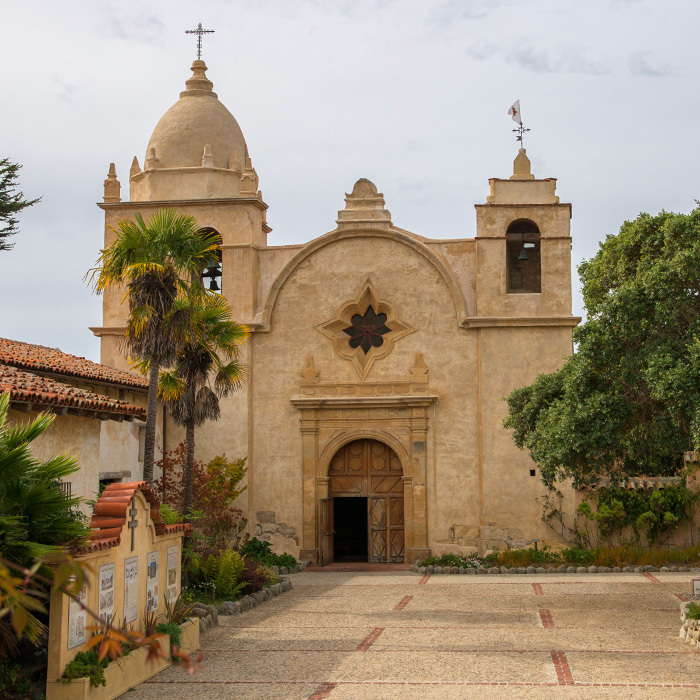 Santa Cruz is all around, but in this safe haven the noise of the City drifts away on a cool ocean breeze. 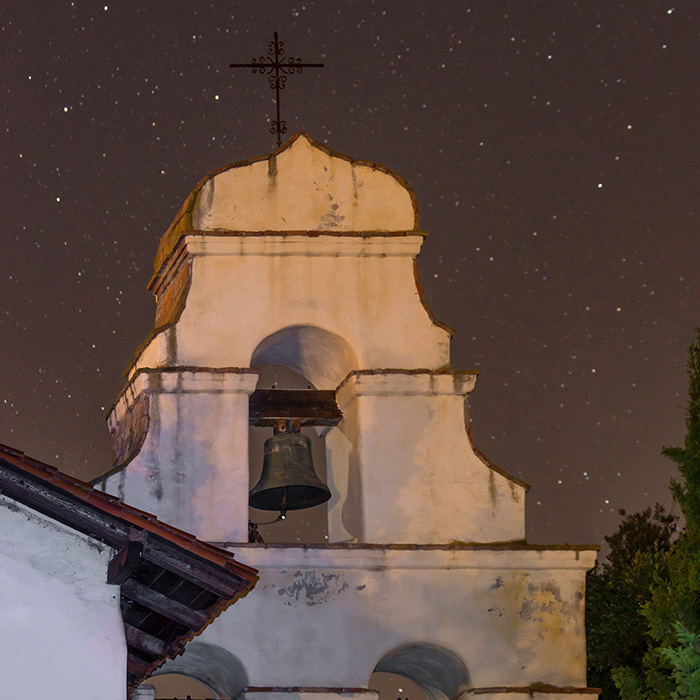 The Spanish Missions are California’s oldest structures and the State’s most-visited historic monuments. 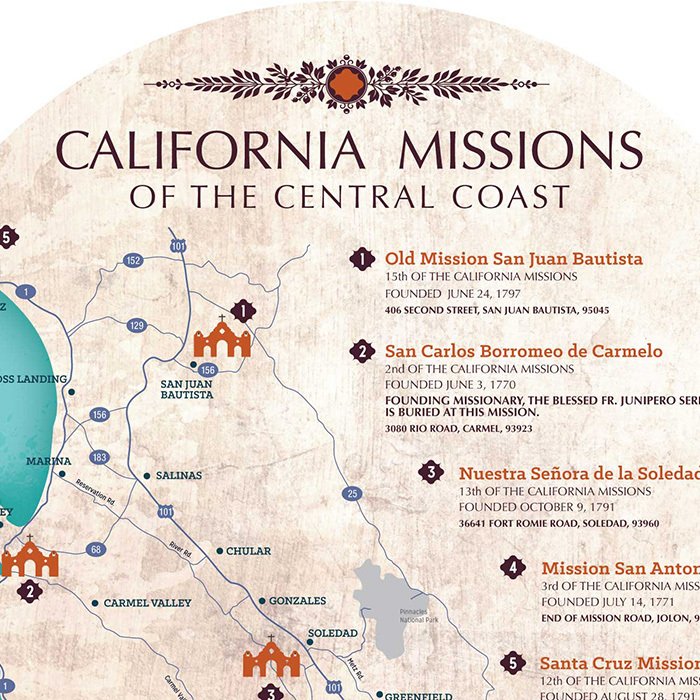 There are five here on the Central Coast, each with its own story to tell.